The time has come. We are once again playing “Real or Fake?” In case you missed it last time, this is where I show you a screenshot and you have to determine if it is from a real or fake game you can buy right now on the PlayStation Store. 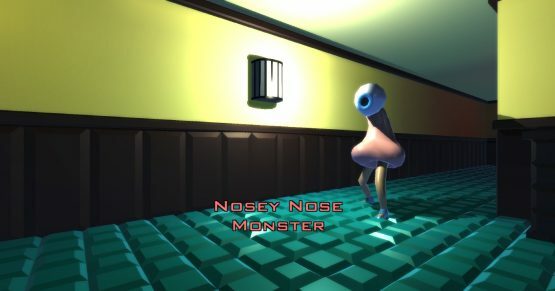 This time, I am introducing you to a nose with legs. My assertion is that this nose with legs is the star of a PlayStation 4 game. I want you to look long and hard at this nose. Think about how this creature puts their shoes on every day. Wonder about how it eats and drinks. Are these two screenshots from an actual PlayStation 4 game? Are you missing out on the adventures of Nosey Nose right now? No cheating! Okay! Who’s ready for the answer? Let’s do this. These are screenshots from a real game! Let’s watch a trailer for it. If you own a PlayStation 4 and are looking for a potato-based game, maybe try Holy Potatoes! A Weapon Shop?!. As the title suggests, this is a simulation game where you play as a potato who is running a weapon shop. Were you fooled? Did I catch you off guard? Or did you know right away that Nosey Nose could not possibly be from an actual PlayStation 4 game? Let us know in the comments!